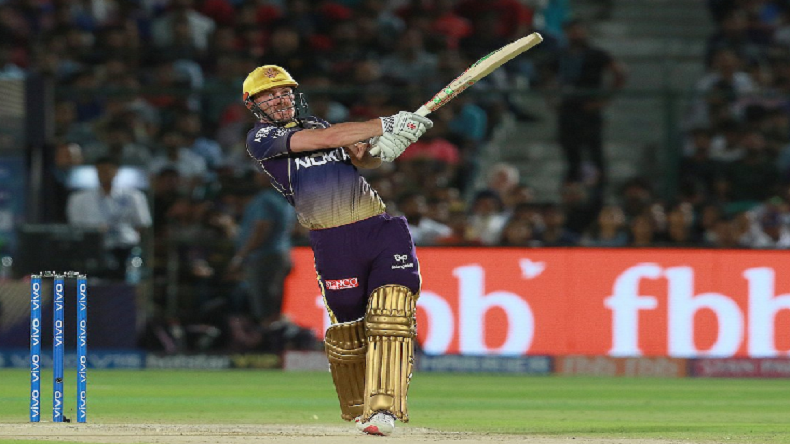 IPL 2019: Kolkata Knight Riders outclass Rajasthan Royals by 8 wickets, KKR register fourth win while Rajasthan suffer fourth loss: Kolkata Knight Riders (KKR) beat Rajasthan Royals (RR) by eight wickets in the 21st match of Vivo IPL 2019 at Sawai Mansingh Stadium, Jaipur. Dinesh Karthik-led team registered fourth win in the series by defeating Ajinkya Rahane-led team and attained top spot in the points table while Rajasthan are staying at second last spot. Debutant Harry Gurney was named a player of the match for his brilliant bowling spell. IPL 2019: Kolkata Knight Riders outclass Rajasthan Royals by 8 wickets, KKR register fourth win while Rajasthan suffer fourth loss: The Kolkata Knight Riders (KKR) batsmen easily chased the target of 139 with 37 balls to spare. The team lost only two wickets in the chase against Rajasthan Royals in the second game of the double-header on Sunday. After deciding to bat second, KKR got a decent start with its openers Chris Lynn and Sunil Narine making 91 runs in just 8.3 overs. Australian batsman smashed 50 off 32 balls while Windies all-rounder made 47 of 25 deliveries. Both hit the same number of sixers (3) and boundaries (6). Kolkata lost only two wickets in the chase. After the wickets of Lynn and Narine, Robin Uthappa (26) and Shubman Gill (6) took the team to victory. Shreyas Gopal was the lone wicket taker for Rajasthan who picked both the wickets of openers. Earlier, KKR bowlers did not allow Rajasthan to touch 140 despite losing only three wickets. The team could not come out of pressure after skipper Rahane was dismissed in the second over. He was sent back to the pavilion by Prasidh Krishna for just five runs. Though Joss Buttler and Steven Smith stitched 67-run partnership but they took 64 balls. Buttler was dismissed for 37 off 34 deliveries. The third wicket fell for 105 when Rahul Tripathi was dismissed. The bowlers of KKR bowled very well restricted Kolkata under 140. Smith scored unbeaten 73 off 59 balls. Ben Stokes could only make seven runs off 14 balls. For Kolkata, Harry Gurney claimed two wickets and conceded 25 runs in his four-over spell. English debutant was adjudged player of the match. Krishna also picked a wicket. Piyush Chawla and Sunil Narine bowled tight overs with former conceding just 19 runs and latter 22 in their four-over spells. Kolkata have lost only one match in the series so far against Delhi Capital on March 30. The match earlier remained tie but Delhi beat KKR in a Super Over. The 22nd match of this season would be played between Kings XI Punjab and Sunrisers Hyderabad. Bot the teams have won three each game out of five.